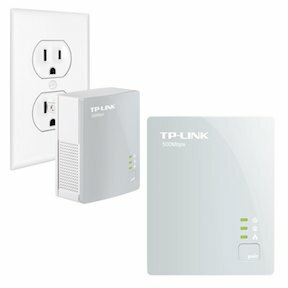 How do I set up my TP Link Powerline Adapters? My adapter buddies won't connect. For our partners who do not have Wifi and who do not have an available data jack close to the Hub, we will send you Powerline Adapters. Powerline adapters use an existing link between power outlets to create a sort of "wireless" hardwired solution. Powerline adapters can be super reliable or quite finicky depending on where they are installed, so we only use them as a last resort. If you have the option of installing another data jack, using a network switch, or simply moving the VaxHub to another location, we would prefer you do so. 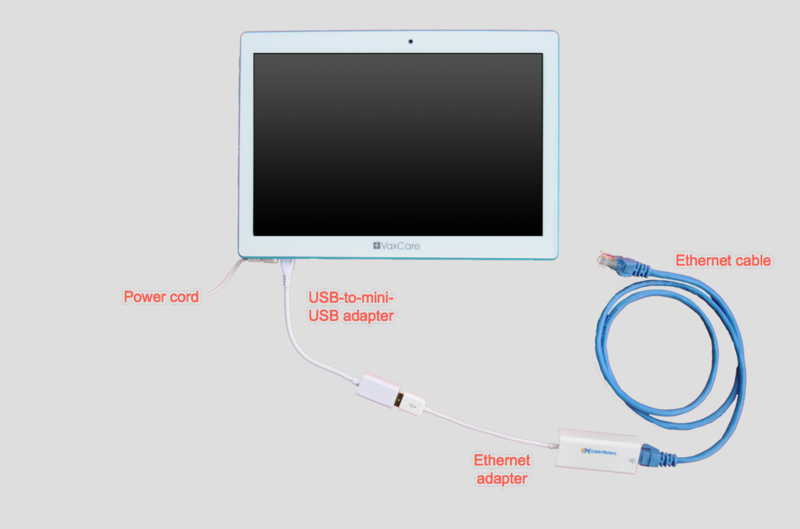 For those partners who still need Powerline Adapters, keep on reading! 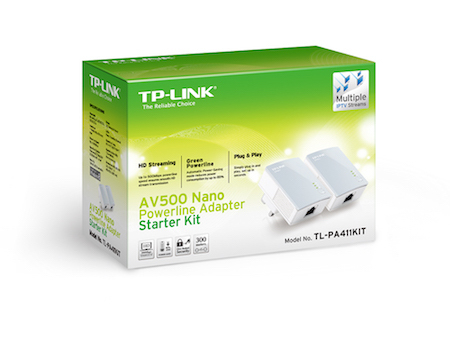 Your TP Link Powerline Adapters will come in a box that looks like the one in the image below. It will contain everything you need to get started! Take the contents out of the box. You should have two of the white adapter boxes (shown in the image below), as well as two white Ethernet cables. Next, connect the pieces as shown in this image from the manufacturer. For those who prefer a written description, this one's for you: Connect one end of the first Ethernet cable into Adapter Box A (doesn't matter which one, just call one A and the other B), and then connect the other end of the cable to an Ethernet jack in your router or a data jack in the wall (the image above shows a connection to a router). Next, connect one end of the second Ethernet cable into Adapter Box B, and then connect the other end of the cable to the Ethernet adapter, as shown by the blue Ethernet cable in the photo below. For more help setting up your VaxHub Ethernet equipment, see Setting Up an Ethernet Connection. Plug both adapter boxes into power outlets. Then, select "Pair" on Adapter Box A. Each adapter box has a series of three lights. Once you select "Pair," the Power LED should illuminate within a few seconds, and the Powerline LED will start blinking. Within 120 seconds, select "Pair" on Adapter Box B. Give the system 30-60 seconds to connect. 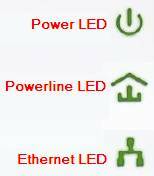 Once connected, both adapters should have solid green Power LEDs and Powerline LEDs. The Ethernet LED should either blink or stay on continuously, indicating a connection to the network has been established. At this point, you should be able to access the network from your VaxHub. To test, simply tap on the Google Chrome app and try to go to any webpage. If it works, you're good to go! If you cannot pull up a webpage, check out our troubleshooting tips below. The easiest way to establish a connection between adapter boxes -- or adapter "buddies," as some of our partners like to call them -- is to pair them on a power strip. Plug both adapter "buddies" into a power strip, and plug the power strip into the wall. You do not need the adapter "buddies" connected to Ethernet cables or a data jack. Press "Pair" on the Adapter Box A, then, within 120 seconds, press "Pair" on Adapter box B. Once connected, both the Power LEDs and Powerline LEDs should turn solid green. Then, simply remove the adapter "buddies" from the power strip and set up the system as described above. You do not need to re-pair the adapter "buddies" once plugged into separate power outlets, as you just paired them on the power strip. If your powerline adapter "buddies" do not seem to be communicating with one another -- particularly if they paired easily on a power strip -- double check that the two power outlets you are trying to use are on the same circuit. The best way to test this is to see if the network connection is established when both adapters are plugged into the same outlet. If the adapters work, it is likely that the power outlet you have chosen for the VaxHub is on a different circuit. In this case, you will need to find two outlets that are wired on the same circuit and begin again with the adapter setup. It is not recommended to use a power strip for either of the two power outlets once the devices have been paired, as the power strip can disrupt the connection, particularly during a power outage. However, for our partners who do not have another choice, just keep in mind that it is normal for your Powerline Adapters to become disconnected periodically related to the power strip. Follow the instructions above to reconnect as needed.